Specializing in creative wood floor design and historic restorations, Ziggy’s is an award-winning full service hardwood floor contractor. If you’re looking for the finest wood flooring installation or refinishing service available, you can count on our 28+ years of experience. 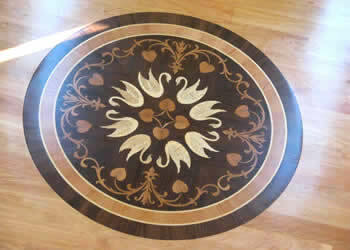 We are a local, family-owned and operated company, fully licensed and insured, and members of the National Wood Floor Association. 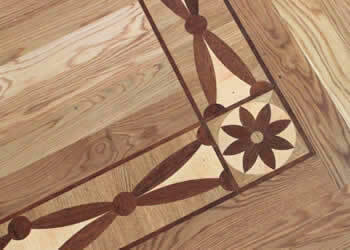 Free wood floor design service — creativity with a whimsical flair! 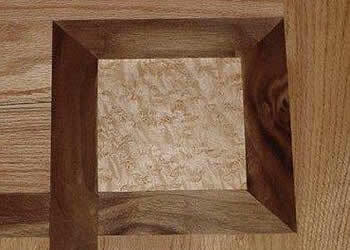 Ziggy’s Inc. is a recognized specialist in historic wood flooring restorations and custom design work. We have installed and refinished floors in historically certified homes, churches, lighthouses, Designer’s Showcase houses and the decks on Delaware’s replica 17th century Swedish tall ship, the Kalmar Nyckel. To receive a convenient phone estimate, call us at 302-453-1285 with your room sizes, or use our online contact form.